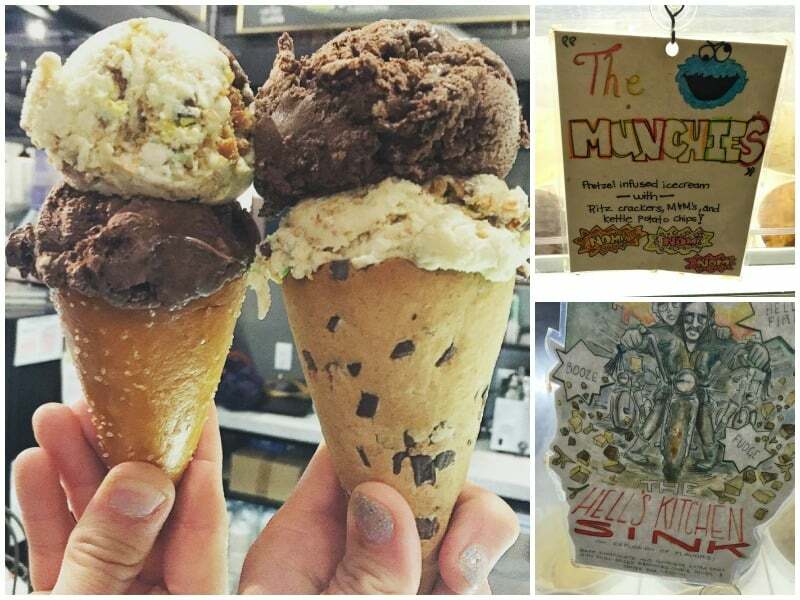 A recap of our tasty adventures through New York City with some of the best sweets and eats the city has to offer! 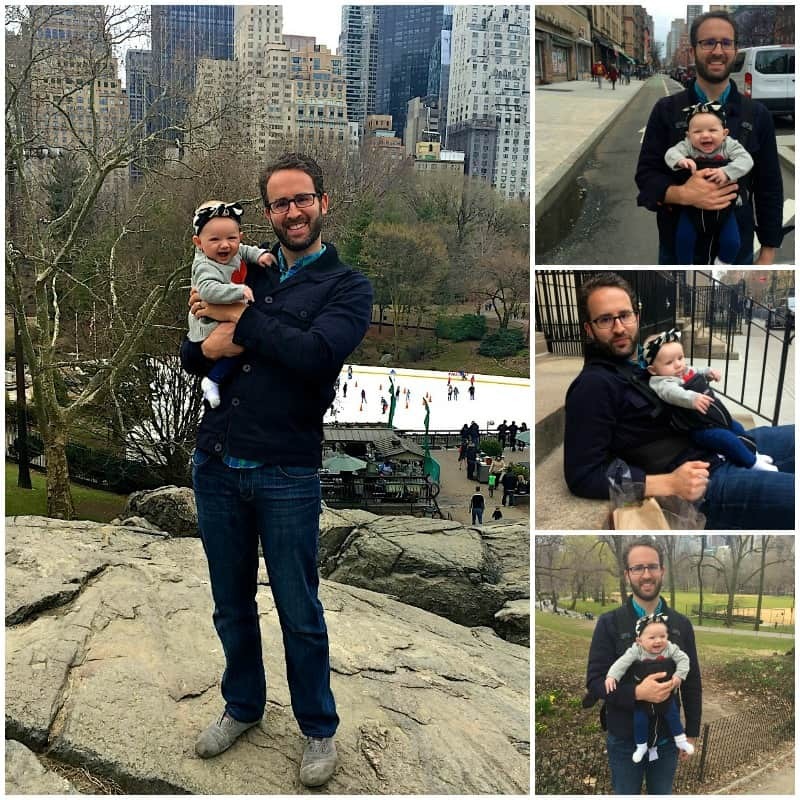 Last month, Brandon, Brookie and I spent 3 full days walking New York City in search of the best eats the city has to offer. We walked 26.5 miles while we were there and could do that every weekend for a year and probably never hit up all the great restaurants, bakeries, donut shops, ice cream parlors and food stands in NYC. It’s one tasty city that I’ll never tire of visiting and eating my way through. We do a lot of research before we go using Yelp, magazine articles, other blogger recommendations and random TV shows highlighting NYC eats. I also love asking my followers on Instagram for recommendations because I always get some great ones that we hadn’t heard about. Once I’ve bookmarked all the places we want to try, along with noting what we just have to try at each place, I map it all out so that we can walk from one place to the next and make the best use of our time. It’s just what we do and we love it! 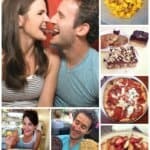 We have two rules that we try to follow (most of the time) when we do these food-filled tours. First, we have to walk everywhere we go, if possible. That way we’re working up a hunger from place to place and working off some of all the yumminess we’re consuming throughout the day. And it’s a great way to really see and feel the city. Second, we try to stick to a two-bite rule at each place. So for each thing we order, we each get two bites. If at first bite, we don’t like it (which is very rare because we do a ton of research to find the best of the best), we’ll not take a second bite and save up for something better. But most of the time, we’re tasting pretty awesome eats, so we’ll take our two bites and use all our willpower to stop ourselves from eating more, knowing we’ll be heading to other places and trying lots of other great eats throughout the day. There are definitely times when something is just so amazing that we’ll devour the whole thing and throw the two-bite rule to the curb. Or if we’ve made a reservation at a nice restaurant, we’ll usually treat it as a meal and eat most all of what we order. 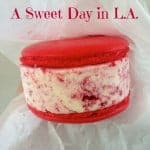 I’ll start by reviewing each of our favorite stops with links to their websites (if they have one) and then at the very bottom of this post, I’ve compiled a list with links to Yelp so you can check others’ reviews, bookmark the location(s), and easily plan your trip. 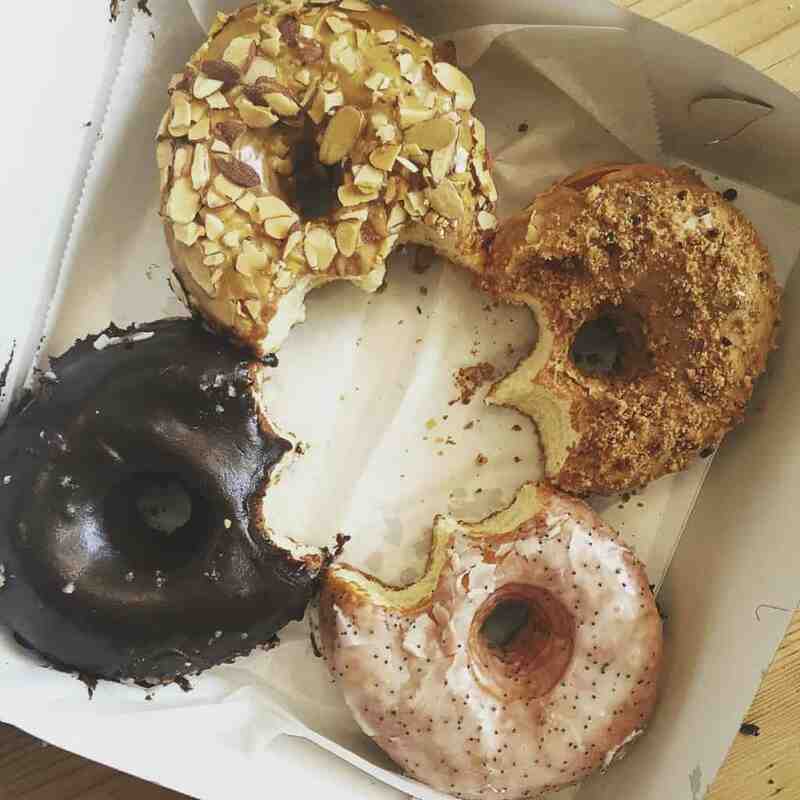 We were ready to hit the ground eating from the moment we stepped off the plane and I had heard great things about a donut shop in Brooklyn so of course I asked our Uber driver if he could take a detour to the donut shop on our way to the hotel. Lol! 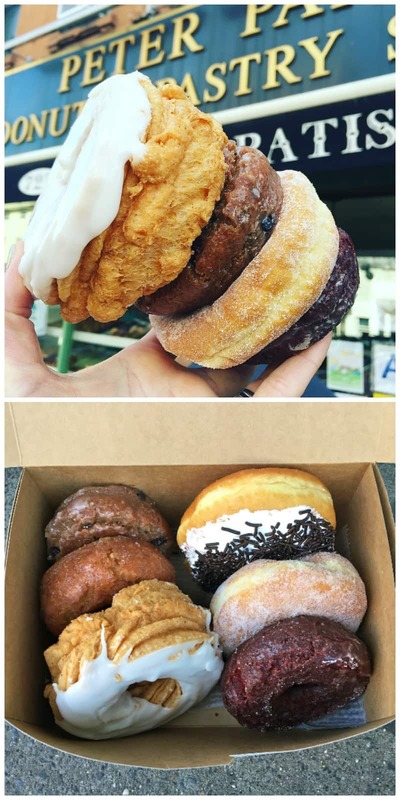 Peter Pan Donut & Pastry Shop (Brooklyn) – some of the best old-fashioned donuts we’ve ever had! 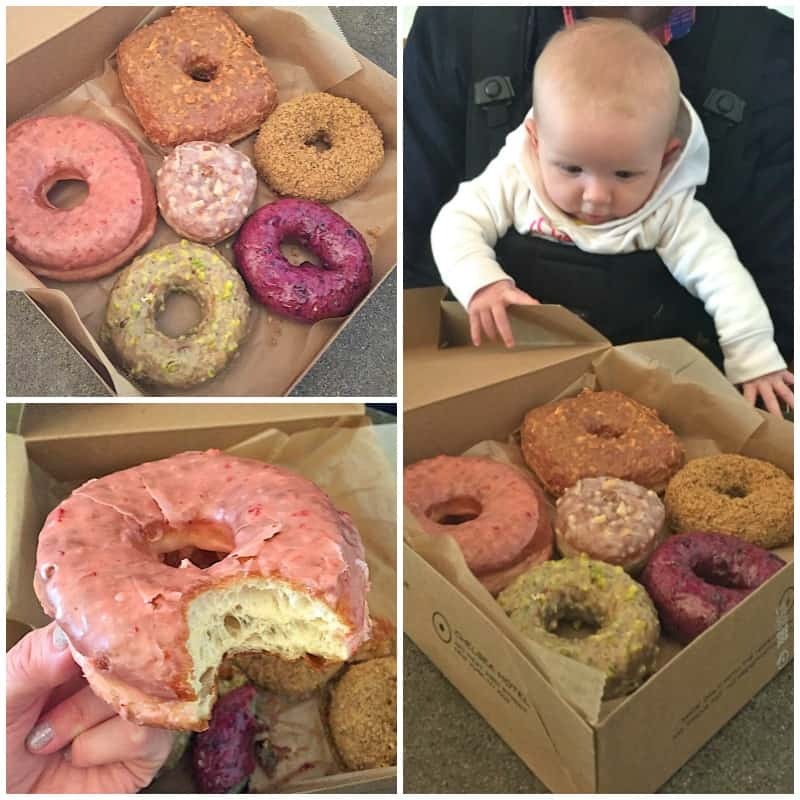 The other donuts were great, but their old-fashioned are where it’s at. 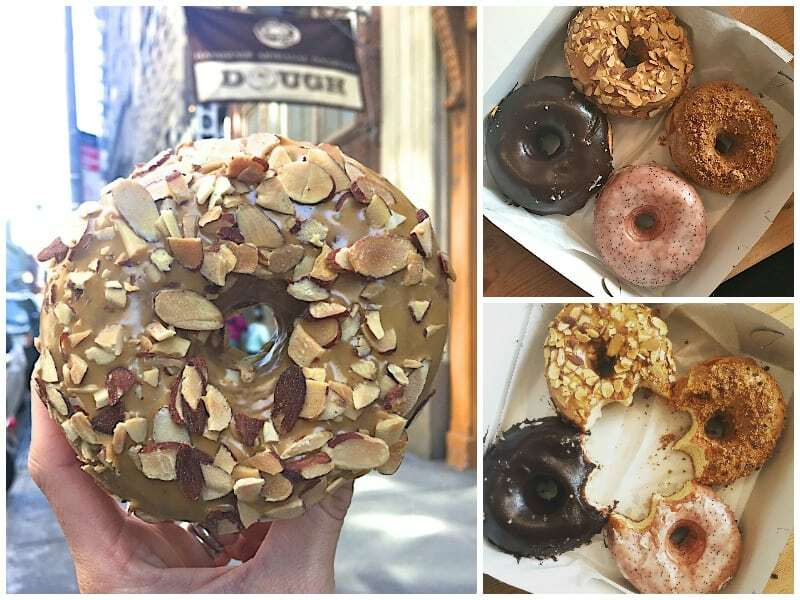 Dough Doughnuts (we went to the Flatiron location, but they also have a location in Brooklyn and sell their donuts at a few kiosks and coffee shops throughout the city) – their raised yeast doughnuts are what they’re known for and they’re perfection! They come in several creative and fantastic flavors. Our favorite was the dulce de leche with almonds. Oh and they have what’s called a doughkas which is babka made with doughnut dough. We tried the Mexican chocolate doughkas and it was out of this world! 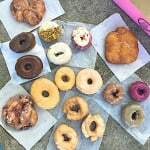 Love this donut (I mean doughnut) shop! Doughnut Plant (we went to the Flatiron location, but they have several locations) – this was my second time here and it was just as great as I had remembered. Their doughnuts are different from any other doughnuts you’ve had. The flavors are creative and unique and taste of the highest quality. Our favorites are the wild blueberry cake, coffee cake, peanut butter & blackberry jam-filled and the creme brulee, but honestly every doughnut we tried was memorable. Love this place! Levain Bakery (of course!) 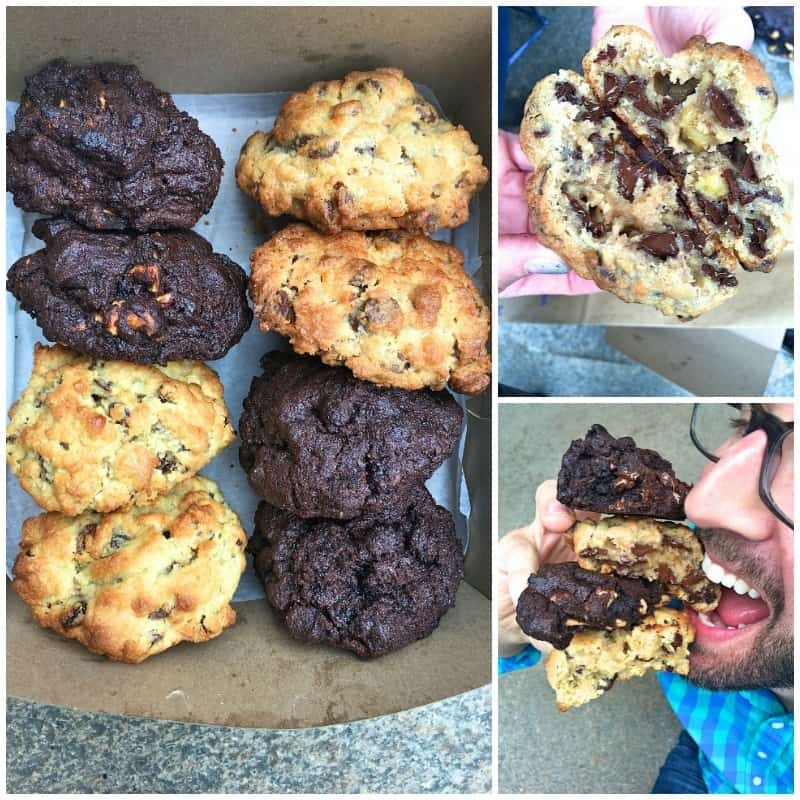 – I’ve been to Levain Bakery numerous times and their amazing cookies never get old. In fact, I have dreams about these cookies. And I keep a stash of them in the freezer for special occasions (or just a night when I’m craving a Levain cookie)! They’re a special occassion within themselves. Nothing compares to these cookies which makes me love them even more. Their cookies come in four flavors (chocolate chip walnut, dark chocolate chocolate chip, dark chocolate peanut butter chip, and oatmeal raisin). 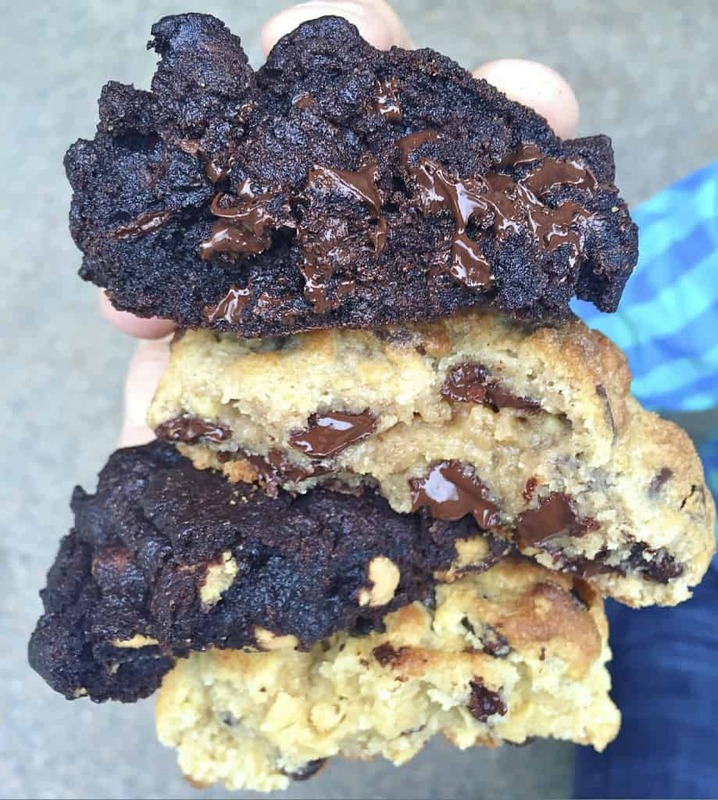 You can’t go wrong with any of them, but their dark chocolate chocolate chip and chocolate chip walnut are our faves! It’s the tiniest little bakery with a small selection of other baked goods and breads, but the cookies are what people line up for and they’re well worth the wait. 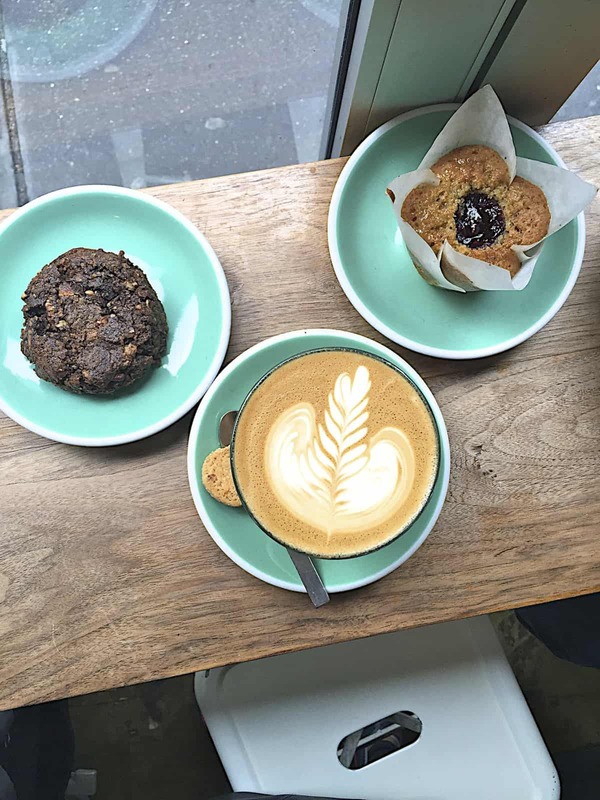 So get yourself to Levain Bakery ASAP! It’s a cookie experience like none other! 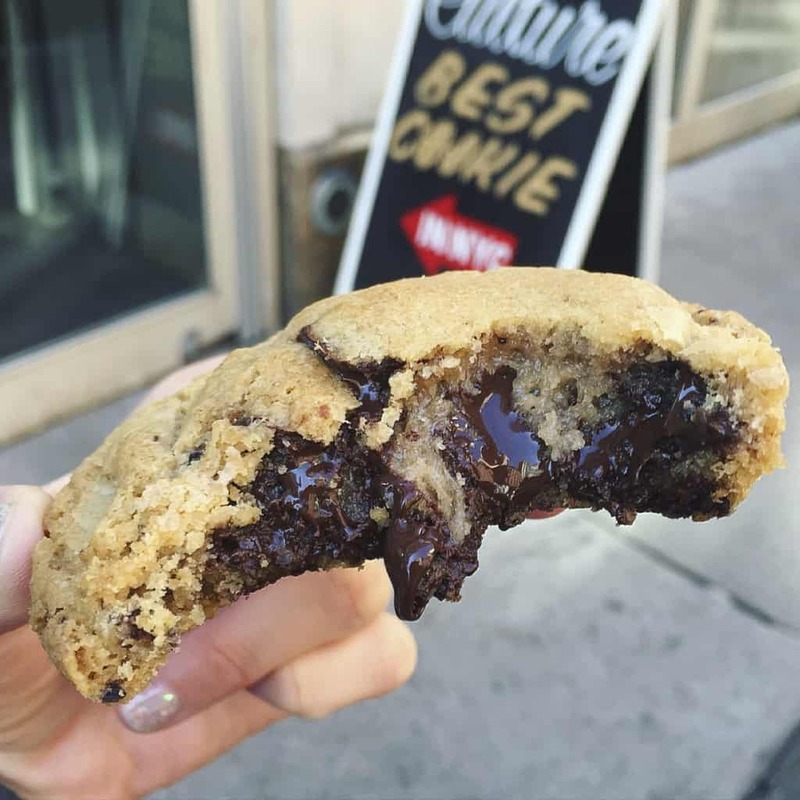 Culture Espresso (Garment District) – We came for the coffee, but the chocolate chip cookie stole our hearts. Don’t get me wrong, their latte was the best we had in the city, but their chocolate chip cookie was to die for! It’s a small coffee shop with a great selection of baked goods, but the cookies are the only goodies they bake in house and they do them right. The cookies were just coming out of the oven when we were there so they were still warm and gooey with a nice crisp on the outside. This cookie definitely gives Levain a run for it’s title as my favorite cookie on the planet. I’ll dream about this cookie, plot to recreate it and run back to get one next time I’m in NYC! Love love love! 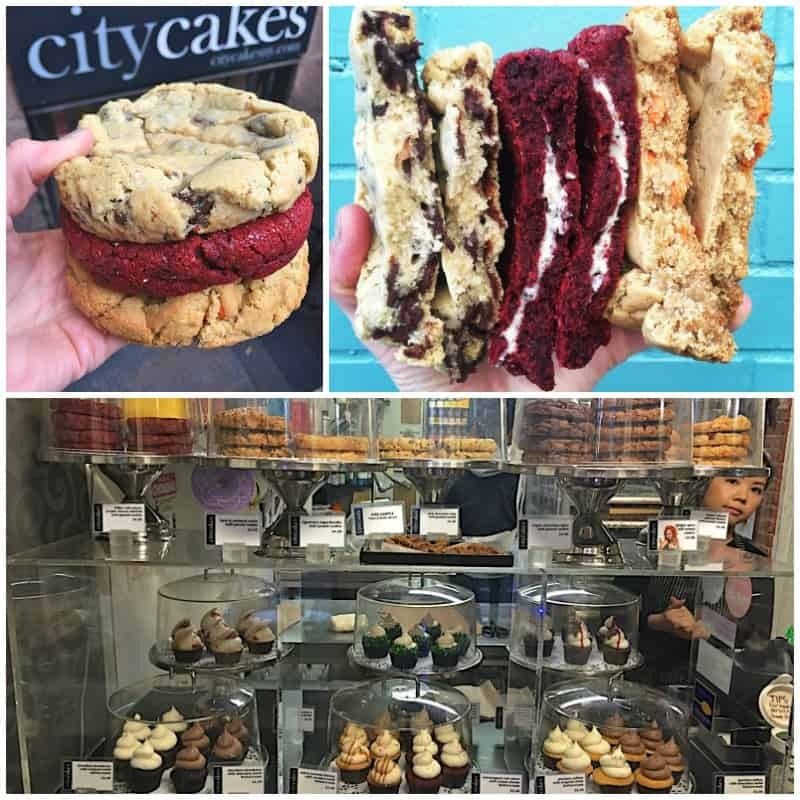 City Cakes – It says cake in the name, but I came for the cookies! Half pound cookies to be exact! So so yummy, y’all! They’re super chewy and come in a variety of great flavors. 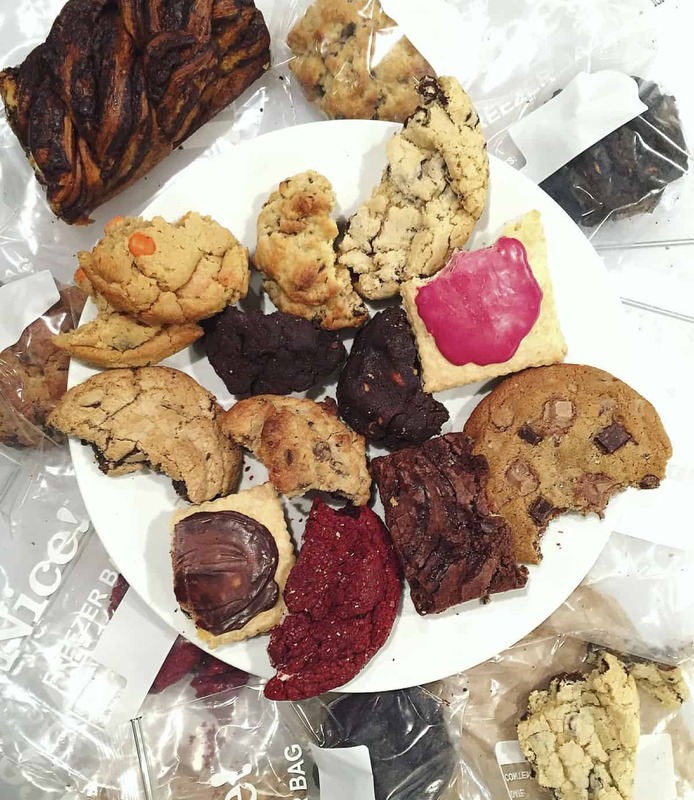 We tried the classic chocolate chip, red velvet and Reese’s peanut butter and loved them all! Another tiny little bakery in the basement of a brownstone that’s definitely worth a visit if you’re crazy about cookies, like I am! 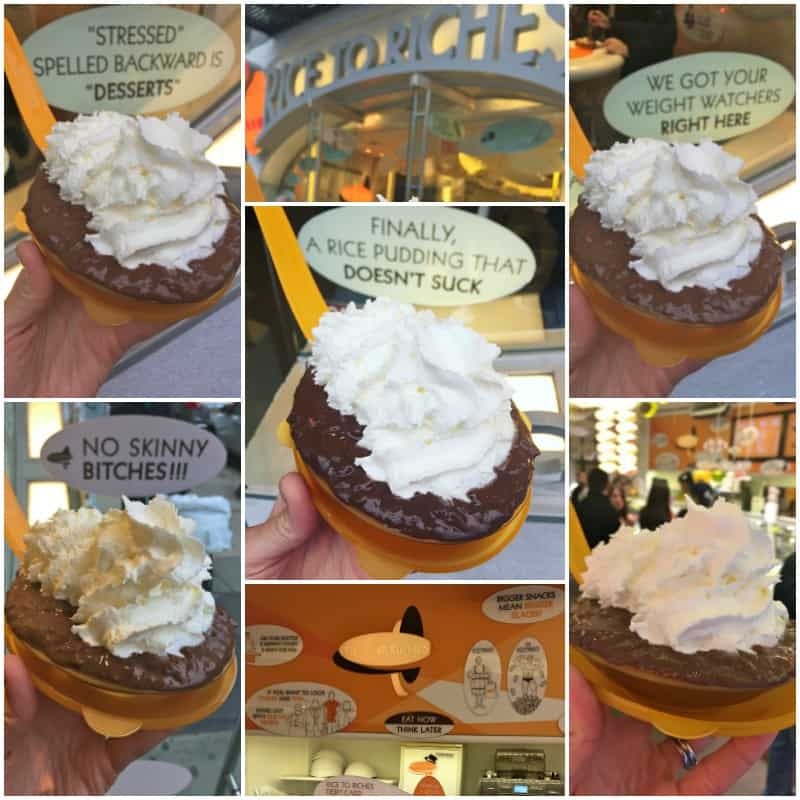 Ample Hills Creamery (we went to the Hell’s Kitchen location inside Gotham Market, but the main location is in Brooklyn) – we actually just happened upon this ice cream shop and it blew us away! A few tasties in and a glance at the cone options, we knew the two-bite rule needed to be changed to the two-scoop rule. 😉 The flavor choices and combinations are so fun and yummy yum! We LOVED The Munchies (pretzel-infused ice cream with clusters of Ritz crackers, potato chips, pretzels and mini M&Ms) and the Hell’s Kitchen Sink (Guinness dark chocolate ice cream, chili-spiced brownies, brown butter cookie dough and toffee bar crunch). I got my scoops on a chocolate chip cookie cone and Brandon got his on a pretzel cone. Huge fans of this ice cream and can’t wait to have it again! 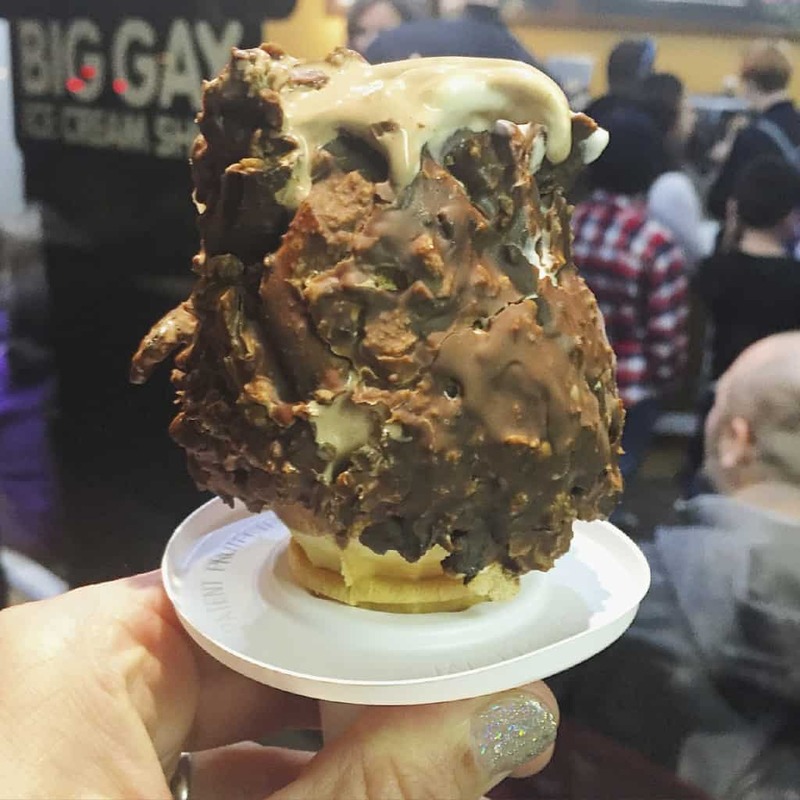 Big Gay Ice Cream – this ice cream shop has been on my list every time we’ve gone to NYC and we finally made it there this time. Why oh why did it take us so long?! I so regret not getting there sooner. It’s awesome! It’s a soft serve only shop and this soft serve is the best we’ve ever had. There’s just something about it that’s so smooth and creamy and perfect for dipping in chocolate. We got the American Globs which is vanilla soft serve covered in crushed pretzels and sea salt and then dipped in chocolate. It’s like DQ but so much better! We should have never shared one because we were literally fighting for the last bites. So so yummy! 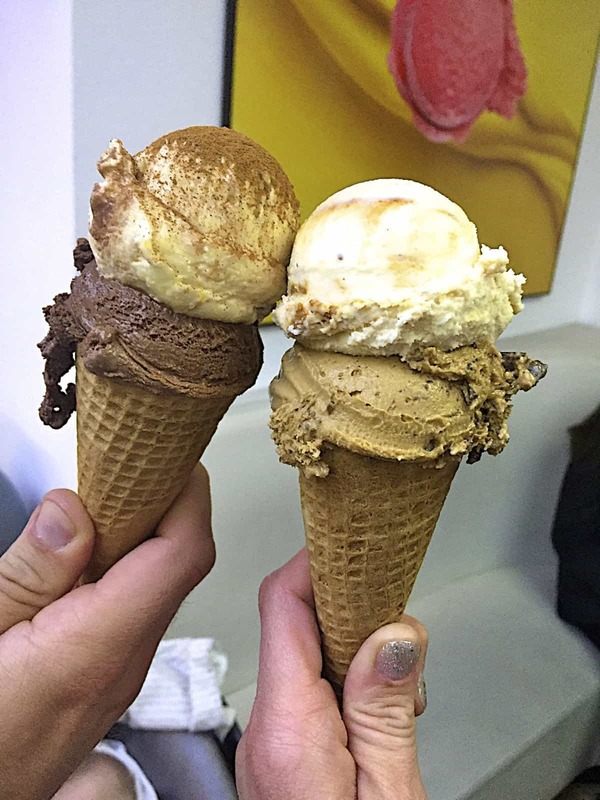 Sundaes & Cones – super cute ice cream parlor with tons of unique and tasty flavors to choose from. With a mix of Asian-inspired and traditional flavors, there’s something for everyone. They were so nice to let us try a lot of the flavors. 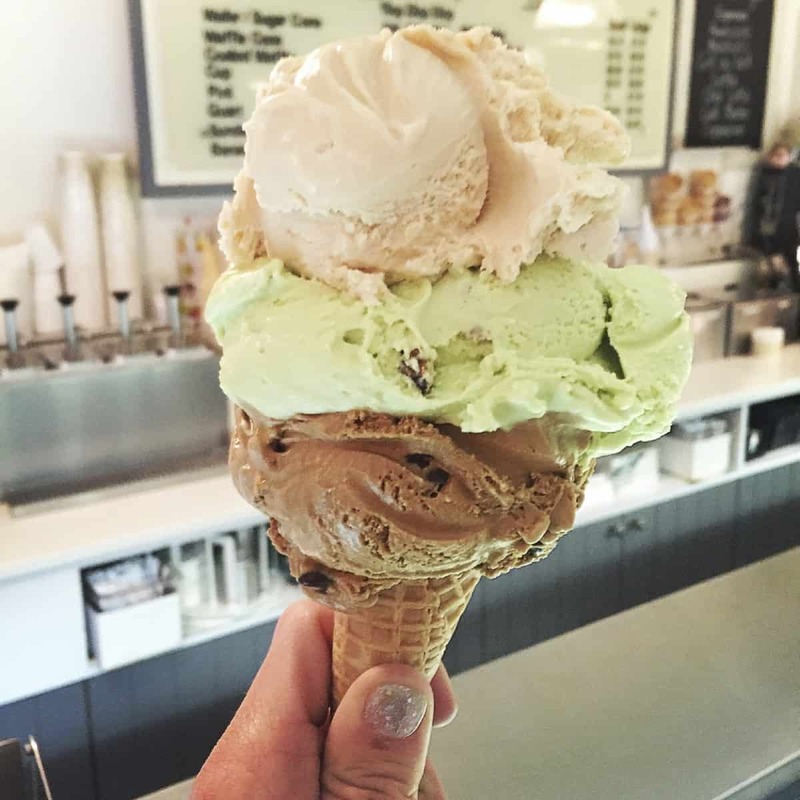 It was so hard to choose, but we went with salted caramel, pistachio and mocha chip. It’s creamy and oh so dreamy! 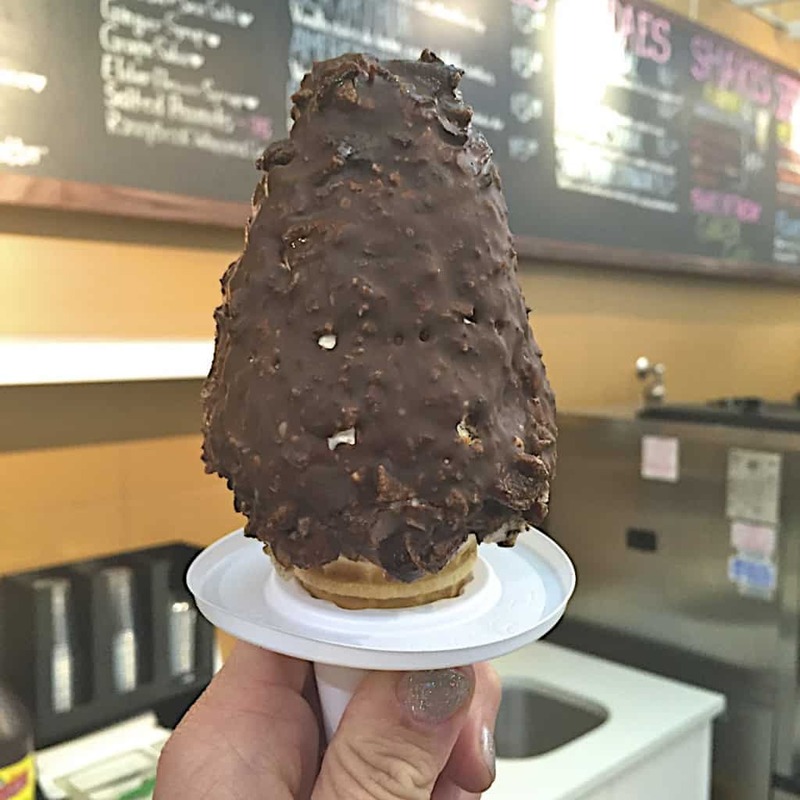 Cones – we almost didn’t go to this place, but I’m so glad we did! The ice cream will knock your socks off! They have a great selection of familiar and unique flavors. I can thank Cones for introducing me to my new love for corn ice cream. Yes, I said corn as in the vegetable corn. Have you ever had corn ice cream?! If not, you must at least try it. I’m usually not one to love unique flavors, but this one won me over with a small sample. 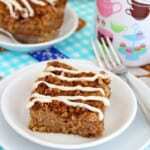 It’s sweet and creamy and oh so delicious! 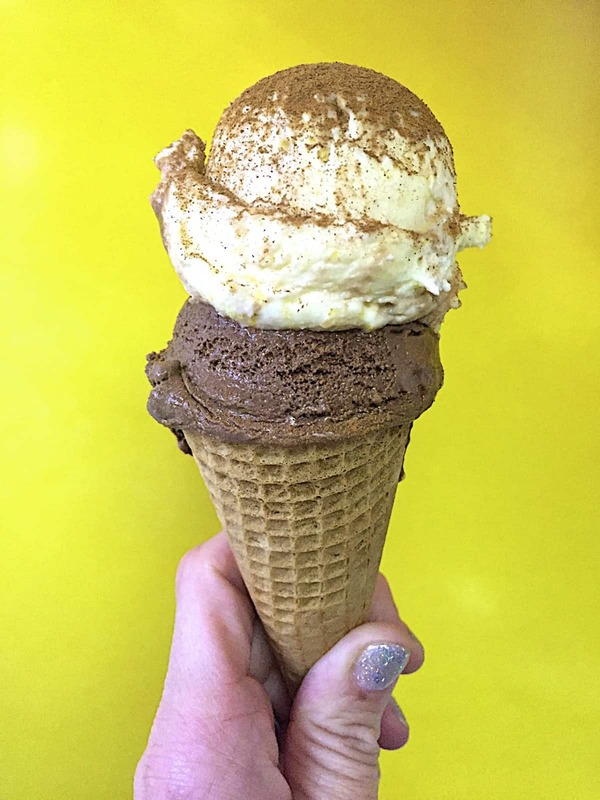 They serve it with a sprinkle of cinnamon and it’s an ice cream experience like none other. Love it! I ordered a scoop of corn ice cream over a scoop of rich dark chocolate. Crazy delicious combo! Brandon ordered peanut butter caramel over coffee mocha chip…oh my yum! It was a beautiful night so we took our cones and leisurely walked the streets of West Village. It was perfection! Dominique Ansel Kitchen – not to be confused with his bakery. 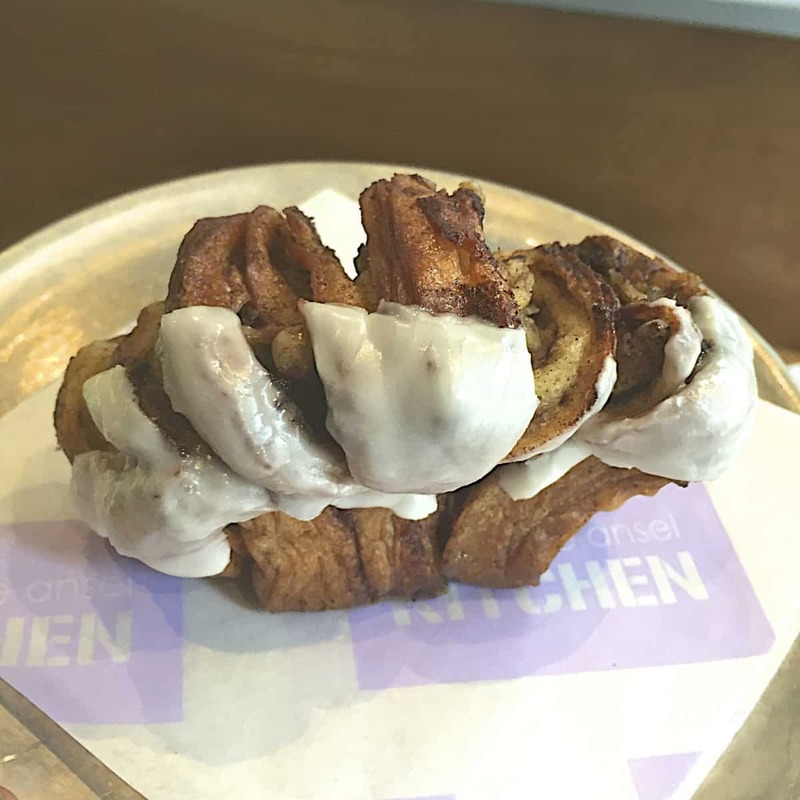 The kitchen is more of a fast casual restaurant/bakery hybrid with a menu and almost everything is “finished-to-order”. You still walk through a line, but then you grab a seat at a high top table or on these cool stadium-like benches with little tables. Such a cute casual place with friendly service and too many great looking concoctions to choose from. We ordered the Ultimate S’mores (homemade Speculoos cookies, all-honey marshmallow, dark chocolate whiskey ganache and sea salt). A mouthful of amazingness that’s just as spectacular to look at as it was to eat! 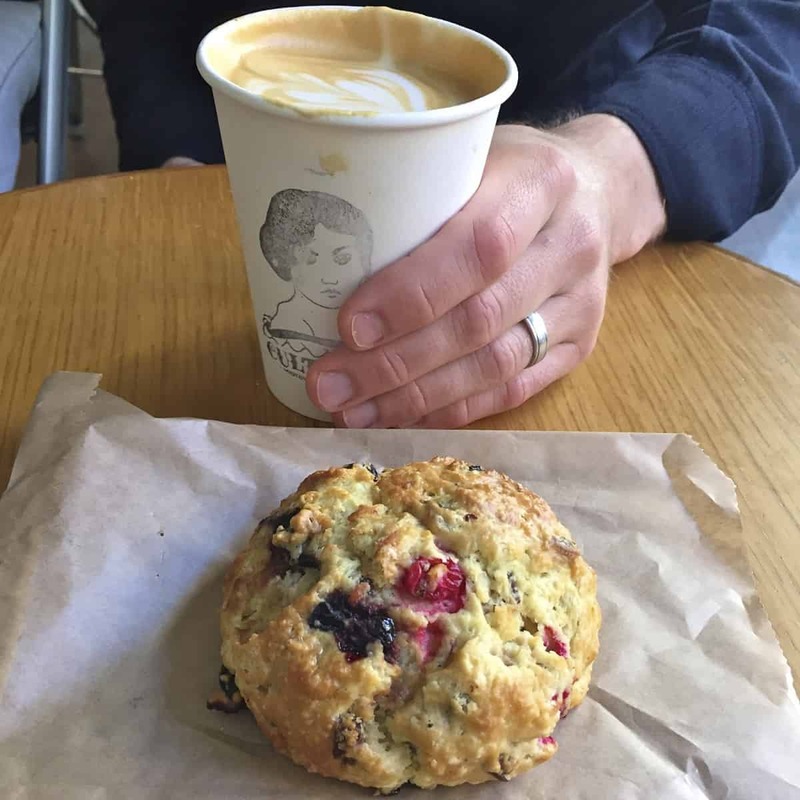 Breads Bakery – I knew I’d love this place from the moment I discovered it on Yelp and my excitement was confirmed the second I stepped foot into this bustling bakery. We’re talking pastries, baked goods and breads galore. 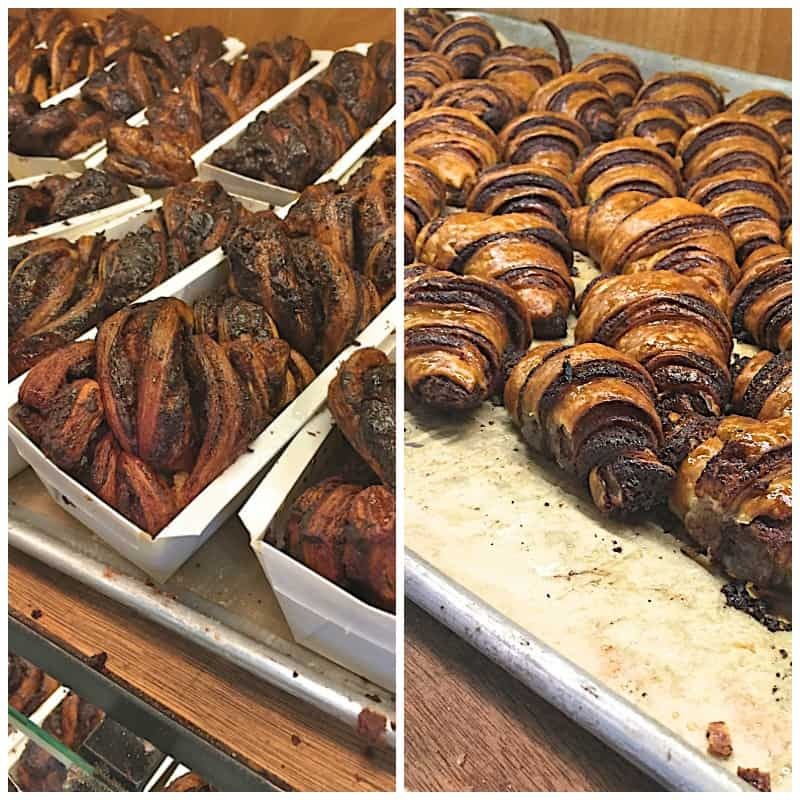 We came for their famous chocolate babka and Nutella rugelach so that’s what we ordered and neither disappointed! If I lived near this bakery, it would be dangerous. These pastries were so delicious. The babka is perfectly crisp on the outside, flakey yet tender on the inside and full of rich chocolate throughout. The rugelach was some of the best we’ve ever had and the fact that it was filled with Nutella made it that much more memorable. Oh Breads Bakery, we will be back! 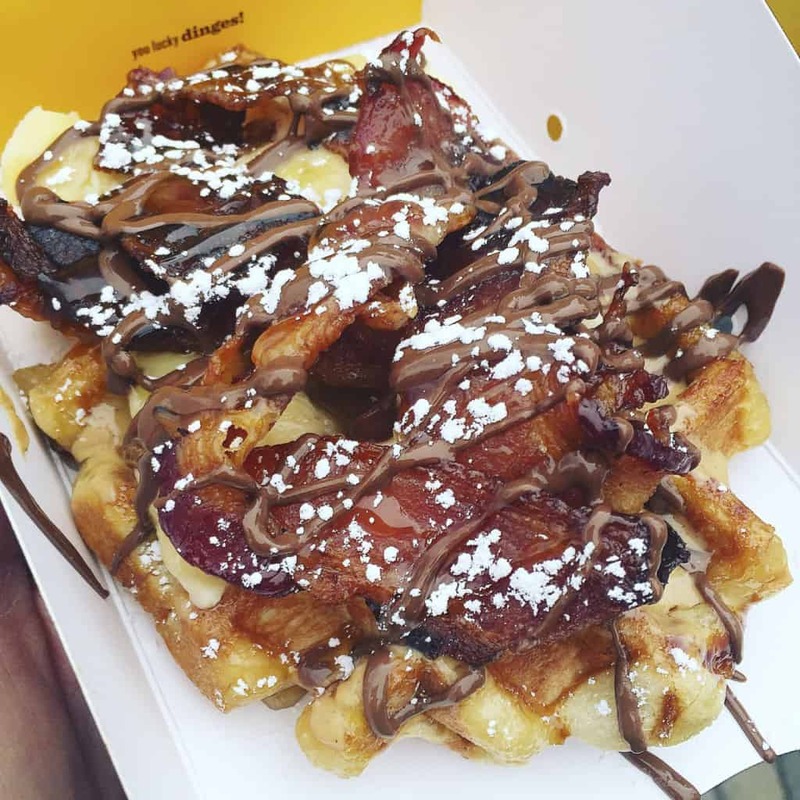 We ordered de Elvis Wafel which has peanut butter, banana, this thick crispy candied bacon and a honey drizzle. Oh and I added a drizzle of Nutella for extra yumminess! I know Elvis would approve. Holy yum! 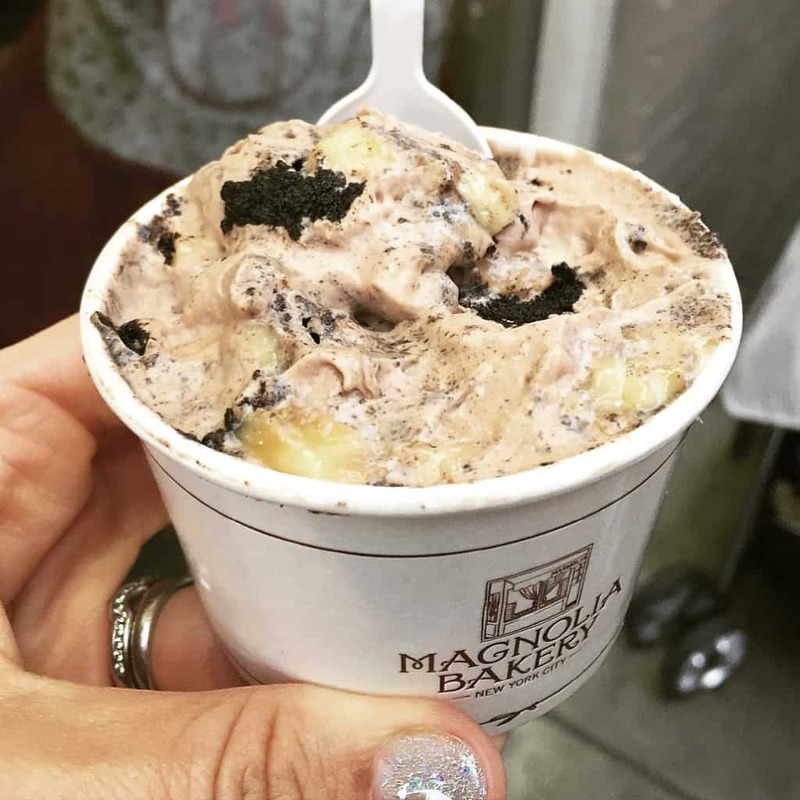 Magnolia Bakery – I love Magnolia Bakery’s famous banana pudding so when I saw they had started offering a chocolate banana pudding just before our trip, I knew I had to try it. We just ordered a small container of the chocolate banana pudding and although we like the original banana pudding better, this chocolate version was still super yummy! It has layers of Oreos, fresh bananas, creamy chocolate pudding, and chocolate shavings. I actually recreated it for our Easter Sunday lunch and everyone loved it! 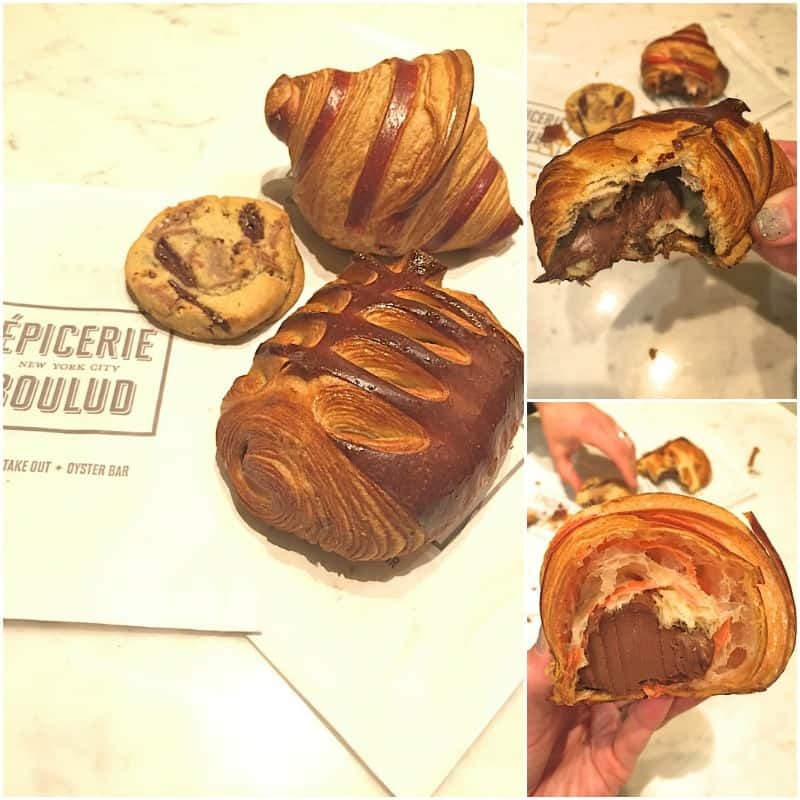 Epicerie Boulud – after we found and enjoyed the Lady M crepe cakes in the The Plaza Food Hall, we spotted a Daniel Boulud bakery and just had to try a few of their beautiful pastries. We ordered a Nutella Stuffed Croissant (speechless! ), a Raspberry Chocolate Croissant (fabulous!!) and a darn good chocolate chip cookie. Loved them all! If you’re near a Boulud location, stop in for one of these. Delish! William Greenberg Desserts – another bakery we spotted in The Plaza Food Hall (proved to be a great stop!). I had this bakery on our list, but was planning to go to their main location on the Upper East Side. I had heard great things about their black and white cookie and honestly, I’ve never been impressed with black and white cookies so I was excited to give this one a try. Although they have an amazing selection of other baked goods and candies, we just ordered a black and white cookie and took it to Central Park to try as we walked around. Y’all, it was so yummy! 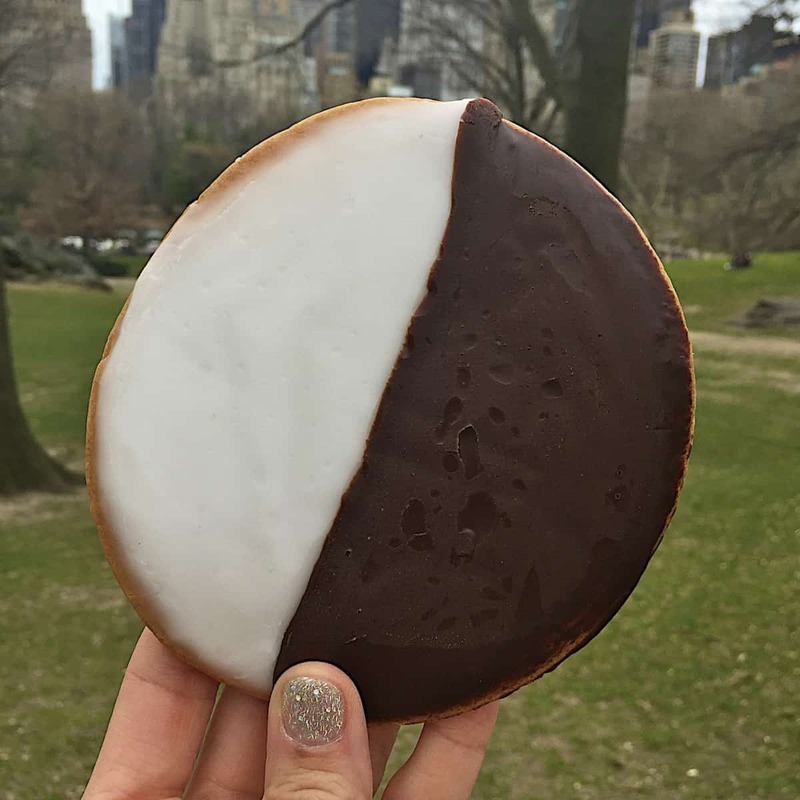 It won us over and now we’re big fans of black and white cookies, or at least this one! 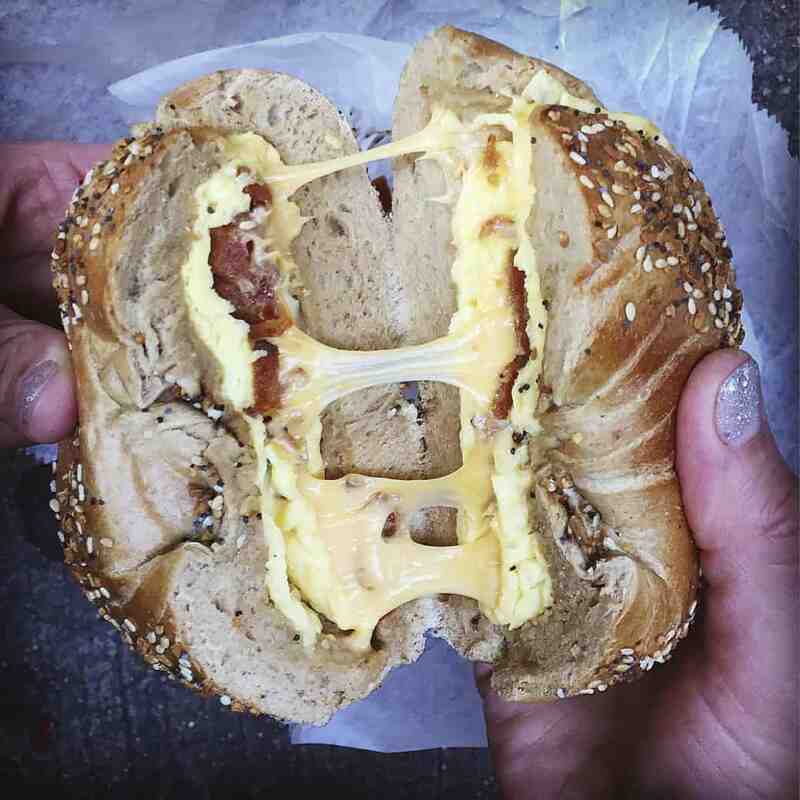 Best Bagel & Coffee – NYC is known for their bagels, but rather than just a thin spread of cream cheese on each half of a toasted bagel, this city is crazy about their bagel sandwiches. Huge bagels stuffed with cream cheese, salmon, meats, veggies, melty cheese, you name it. These bagel sandwiches at Best Bagel were the best! So worth waiting in the line out the door that moved really fast. It’s a well run operation so definitely don’t be turned off by the line, it’s a great sign! I got bacon, egg & cheese on a whole wheat everything bagel and could have eaten two of them if we weren’t planning to eat our way through the city that day. So dang good! 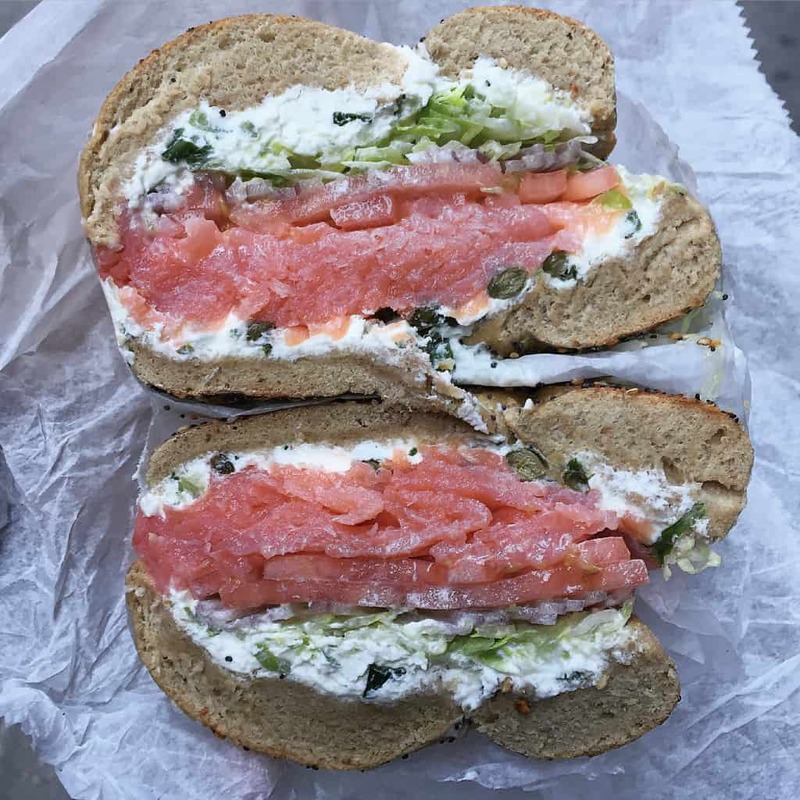 Brandon got smoked salmon and scallion cream cheese on a whole wheat everything bagel and it was out of this world! 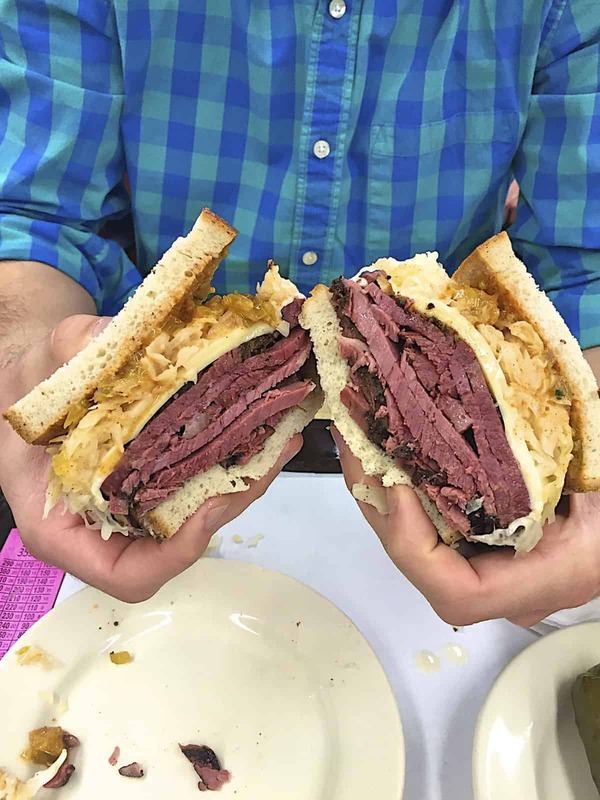 Katz’s Delicatessen – we had been to Katz’s before (6 years ago though) and we were itching to go back. It’s a NYC institution that you have to experience at least once in your life. The line is usually long and a bit crazy when you get up to the ordering counter, but moves super fast and the service is friendly and efficient. 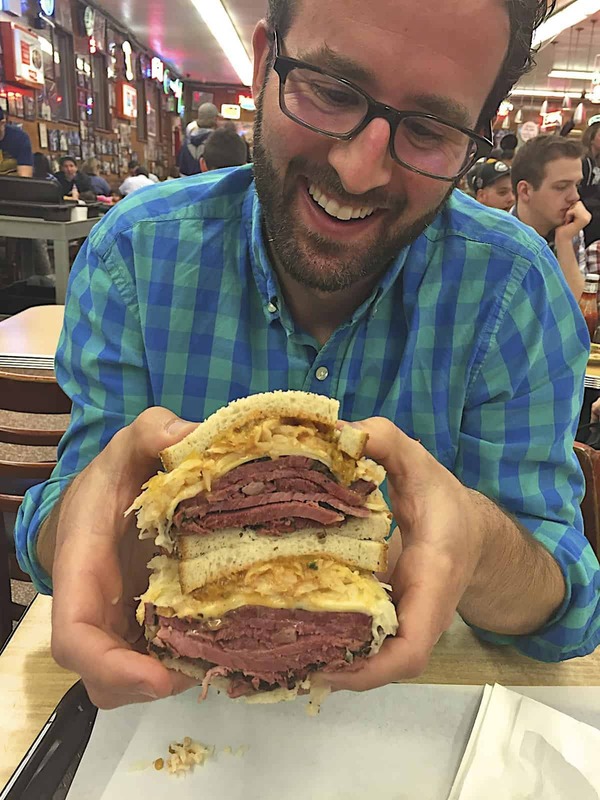 We got the pastrami reuben and it was just as amazing as we had remembered. 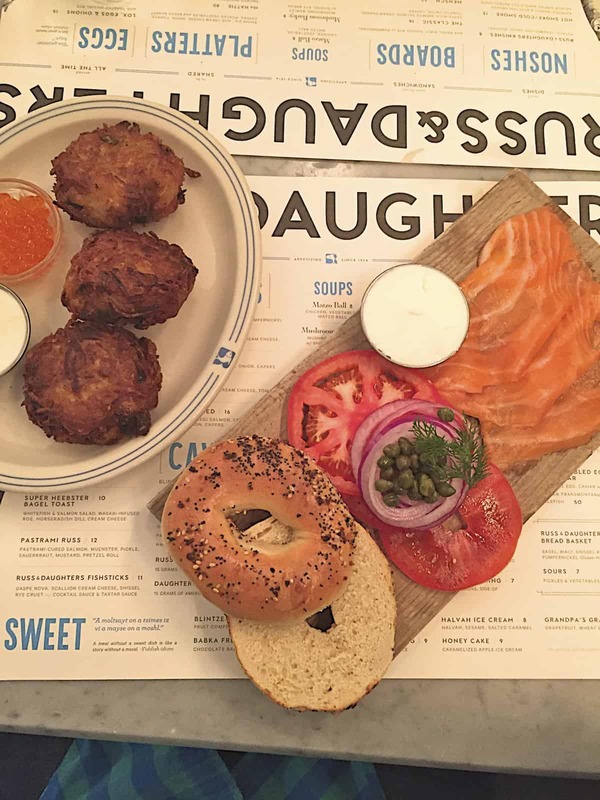 Russ & Daughters Cafe – we had been seeing lots of beautiful food pictures from Russ & Daughters Cafe, especially their smoked salmon boards and sharing platters. Brandon is a lox lover so we got The Classic Board with smoked salmon, cream cheese, tomato, onion, capers and a bagel. It was awesome! Everything was so fresh and all the simple flavors come together so deliciously. We also ordered the potato latkes that came with wild salmon roe and creme fraiche and they were so great too. Such a great place that offers fantastic food in a fabulous atmosphere. They also have a market down the street where you can shop for home if you’re local. 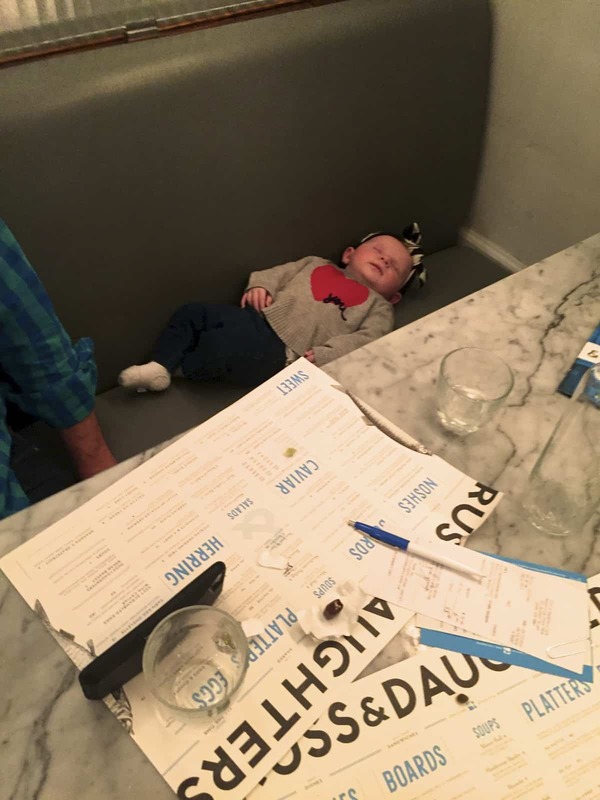 Brookie enjoyed a good snooze at Russ & Daughters. Lol! 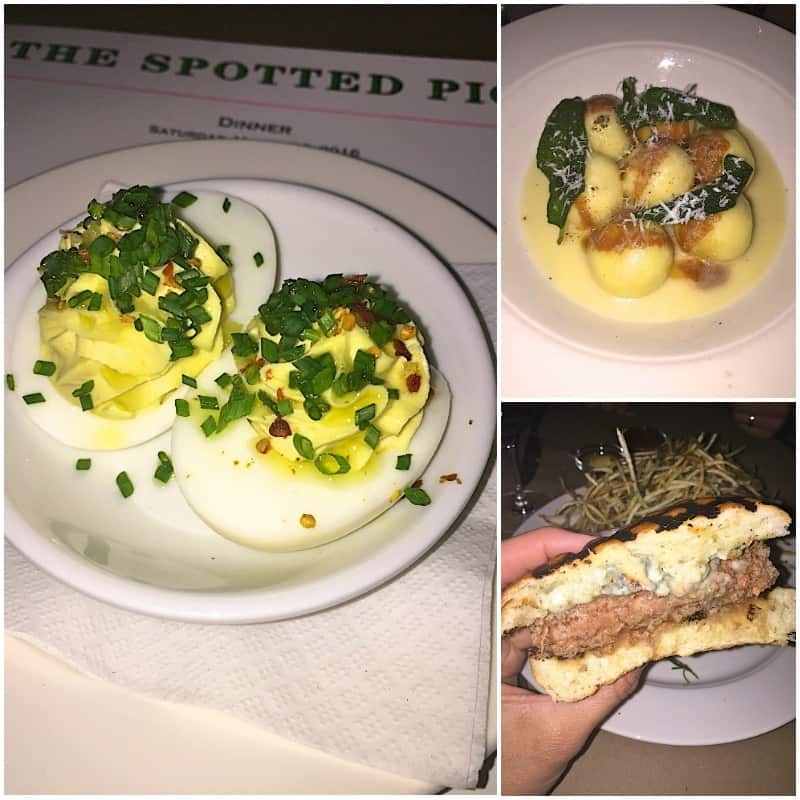 The Spotted Pig – we had to show up at 5pm to get our name on the list for when they opened at 5:30pm and I think we still had a 45 minute wait. They take your cell number and text you when your table is ready so we didn’t mind walking around until it was ready since it was so early in the evening anyway. We came specifically for the deviled eggs and the sheep’s milk ricotta gnudi with brown butter and crispy sage. Both were fantastic! The deviled eggs were spot on. They have a very traditional deviled egg taste just richer and more flavorful than most. And the gnudi are melt in your mouth amazing! Probably one of the most perfect dishes we’ve ever eaten. Add it to your “must try before I die” list. It’s that good! Everyone around us was ordering the burger and even though we were there for the deviled eggs and gnudi, we felt pressure to at least try it. Honestly, we were disappointed. The meat was pretty bland and the Roquefort cheese overwhelmed it all. The other dishes we ordered were so amazing that we still love The Spotted Pig! 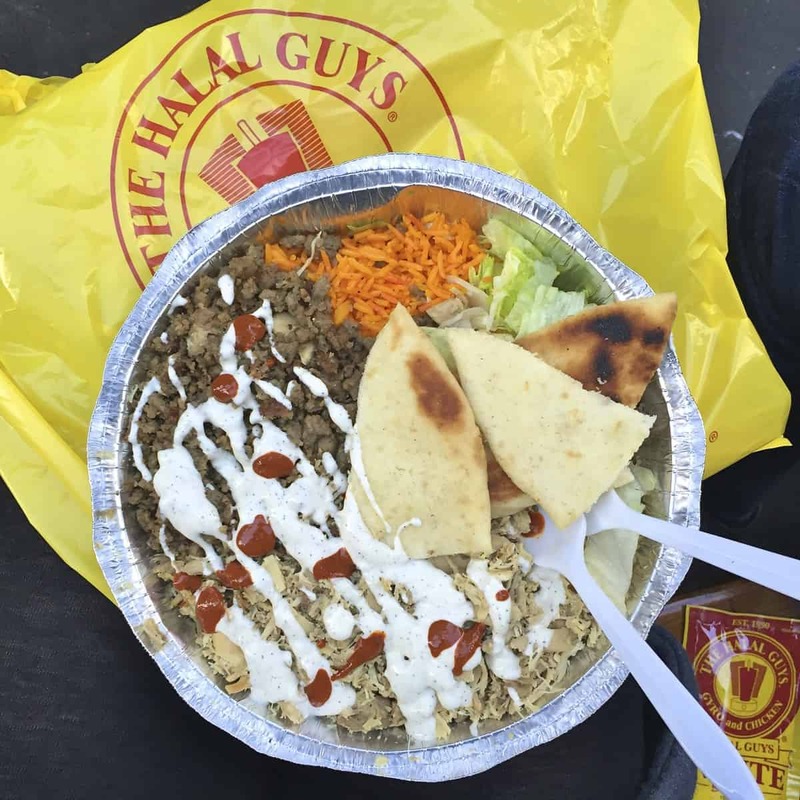 The Halal Guys – we’ve been to NYC several times, but have never tried the famous Halal Guys food cart. We went to the original at W 53rd Street and 6th Avenue. We went mid-afternoon and although there was still a line, we only waited for about 10 minutes. We got the chicken and beef combo over rice which comes with a small salad and pita all in the same container. We had heard their sauces are amazing and that the red one was super spicy, so we requested a generous drizzle of the white sauce and a little red sauce. They have packets of the sauce as well so we asked for some just in case we wanted more. The amount we got was perfect though. It was really really good. The meats were so flavorful and as we heard, the sauces were addicting! It all came together so well. Such a great deal for so much food! 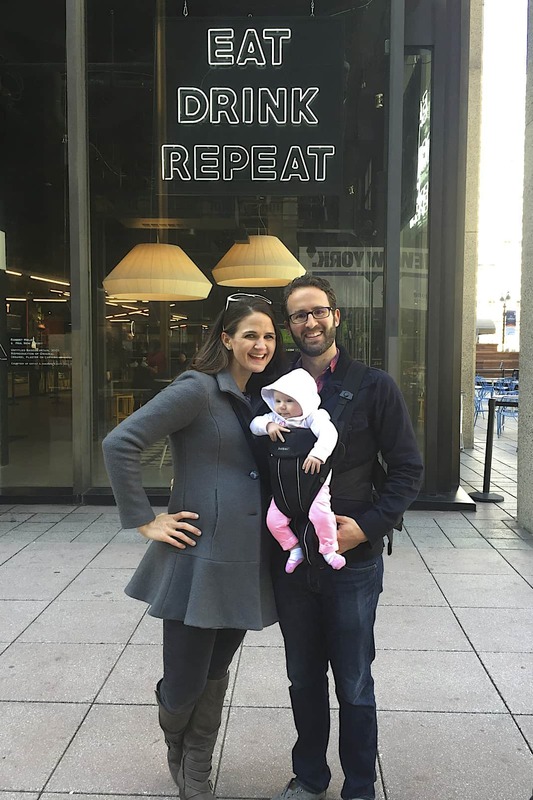 Murray’s Cheese Bar – a restaurant that revolves all around cheese and wine…we’ll be there! We had such a great experience at Murray’s. We didn’t have a reservation and we got there during the busiest time on a Saturday night. They were awesome to quickly accommodate us and the stroller up at the bar where we could see the cheese mongers preparing all the boards. 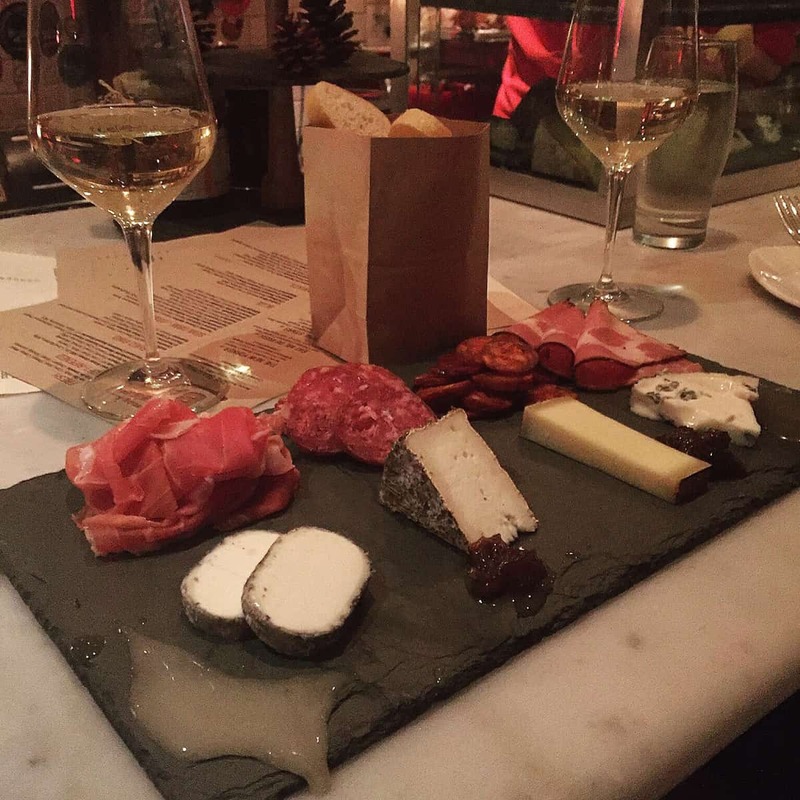 We ordered the Cheesemonger’s Choice with 4 cheeses and 4 meats along with a couple glasses of wine and we were in heaven. The way the cheese monger paired each cheese, meat and honey/jam was absolutely amazing! We could have sat at that bar for hours. 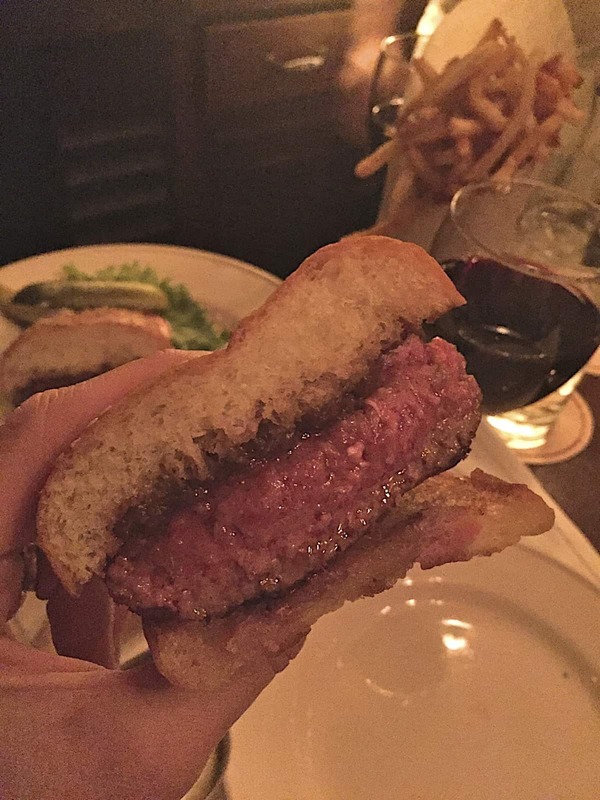 Minetta Tavern – we went to Minetta specifically for their Black Label Burger because we had heard it was one of the best in the city. And let me just get right to it, it’s amazing! A pricey burger at $30, but worth every penny! The meat is a blend of high quality cuts and we ordered ours medium to medium rare and it was cooked perfectly. No cheese, just caramelized onions, meat and bun. Served alongside some fries and paired with a nice glass of red wine, we were in heaven! Tip: If you’re going just for the burger, skip the wait and grab a seat at the bar. The bartenders were awesome and the ambiance was very relaxing and enjoyable. Our first stop on the avocado toast tour was Little Collins Cafe. A quaint and bustling little coffee shop in Midtown East. They have several great sounding items on their menu, but we came for The Smash (avocado and feta mash on toast with chili flakes and pepitas). We’d both agree that this was the best avocado toast we’ve ever had. We fought for the last bites and were so sad when it was all gone. 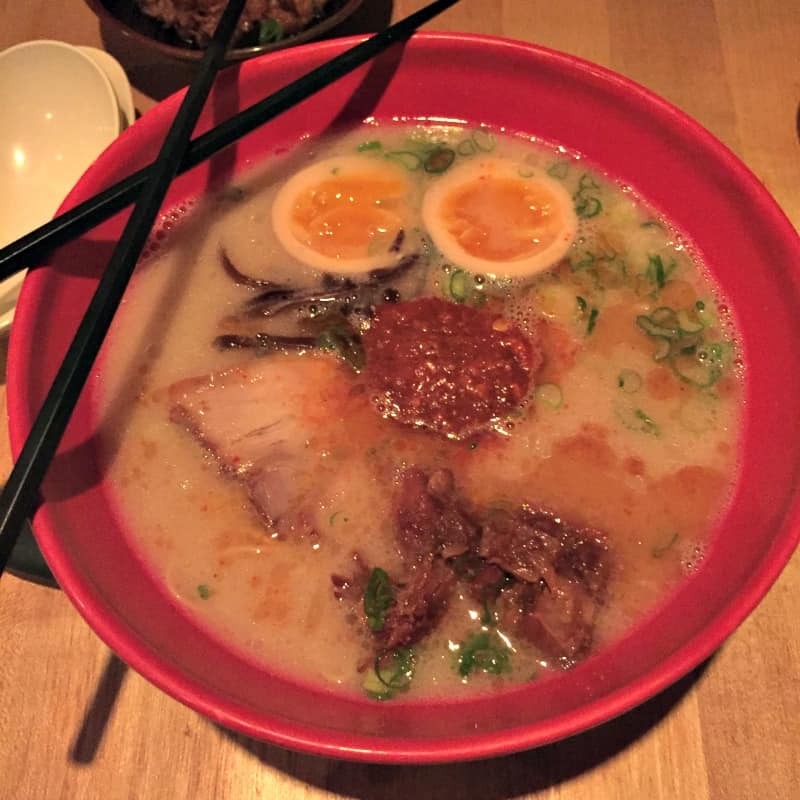 One of those dishes that makes me want to move to NYC so I could go eat it anytime I want. Haha! But seriously, the multigrain bread was the perfect texture, thickness and toastiness, the avocado and feta mashed together was simple yet topping it with chili flakes, pepitas and cilantro made it something special. Ever since eating this avocado toast, we’ve replicated it at home numerous times. Pure joy! Little Collins also had a fabulous latte and a great selection of baked goods. We got a chocolate espresso coconut cookie and a peanut butter and jelly muffin to go with our latte. Love this cafe so much! 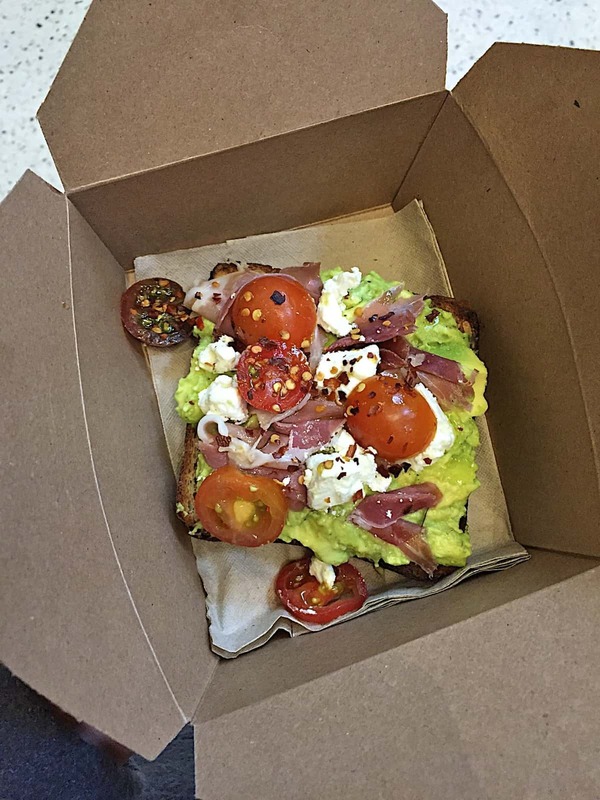 Bluestone Lane – next up on the avocado toast tour was Bluestone Lane. We went to their tiny original location located in the basement atrium of an office building in Midtown East. 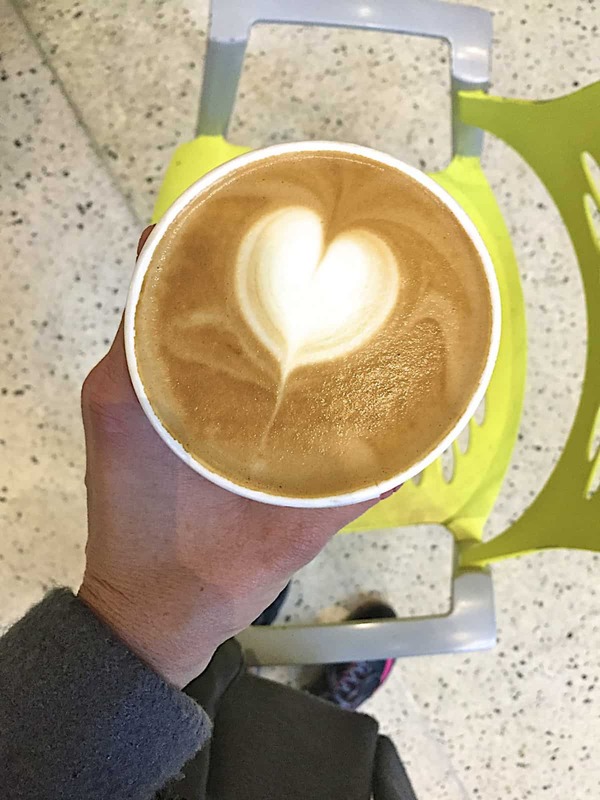 The location may be small, but they delivered big when it came to the latte and avocado smash we ordered. We’re pretty sure the multigrain bread they use is the same as the bread used on The Smash at Little Collins and we love it! Makes for a great avocado toast. 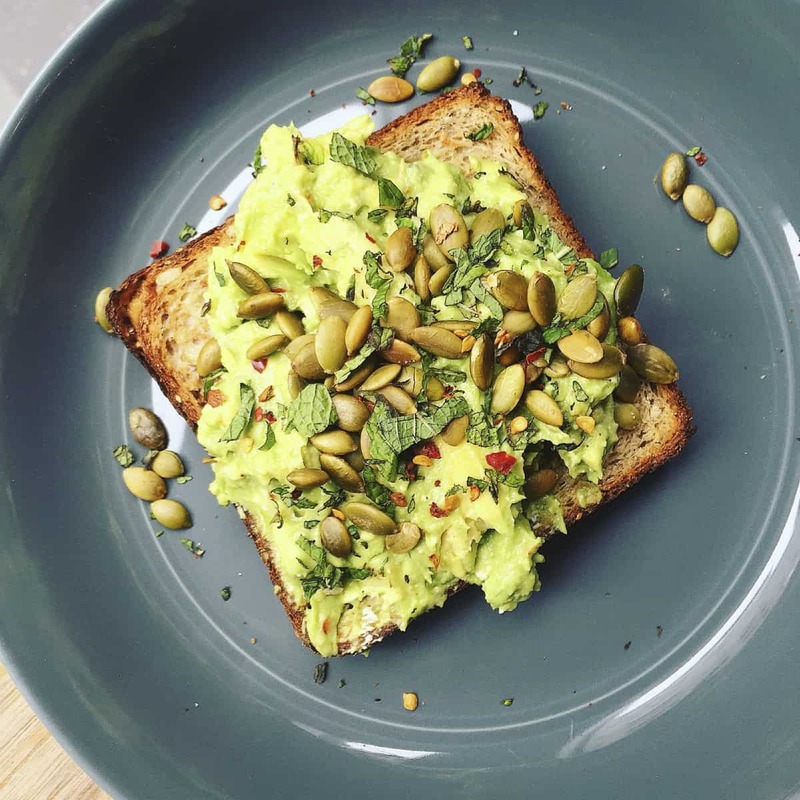 The avocado is smashed with lemon, salt and pepper and topped with chili flakes and a drizzle of olive oil. We added feta, cherry tomatoes and prosciutto, but you can get it just with the avocado smash which is probably what we’d do next time. We enjoyed the additions, but there’s just something about pure and simple avocado toast that makes my heart skip a beat. Highly recommend Bluestone Lane’s latte too. Love me a good latte! 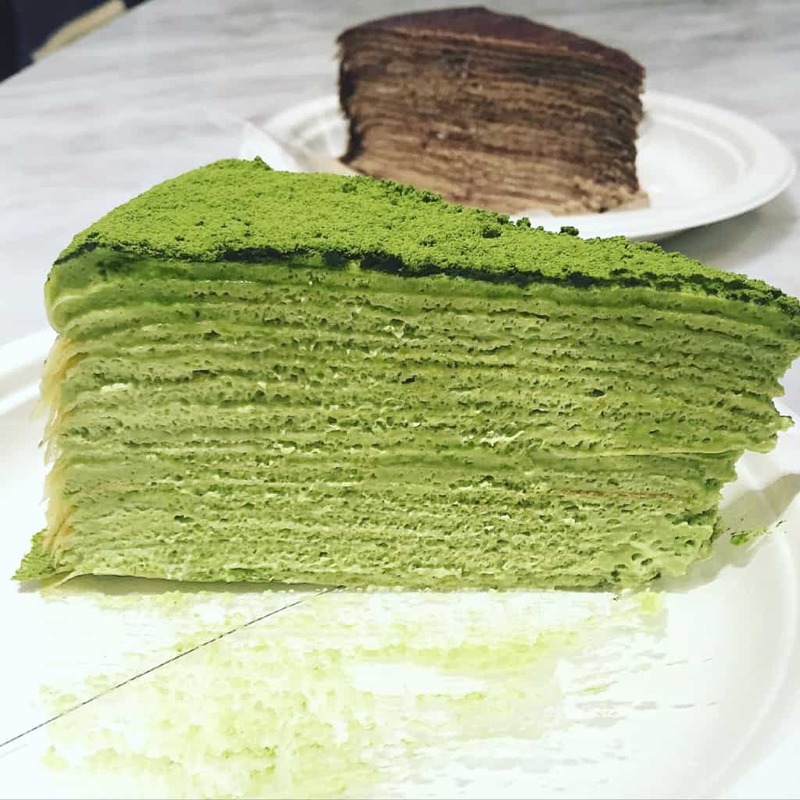 Num Pang Sandwich Shop – I had seen this sandwich shop pop up in my research so many times that there was no way we could skip it. 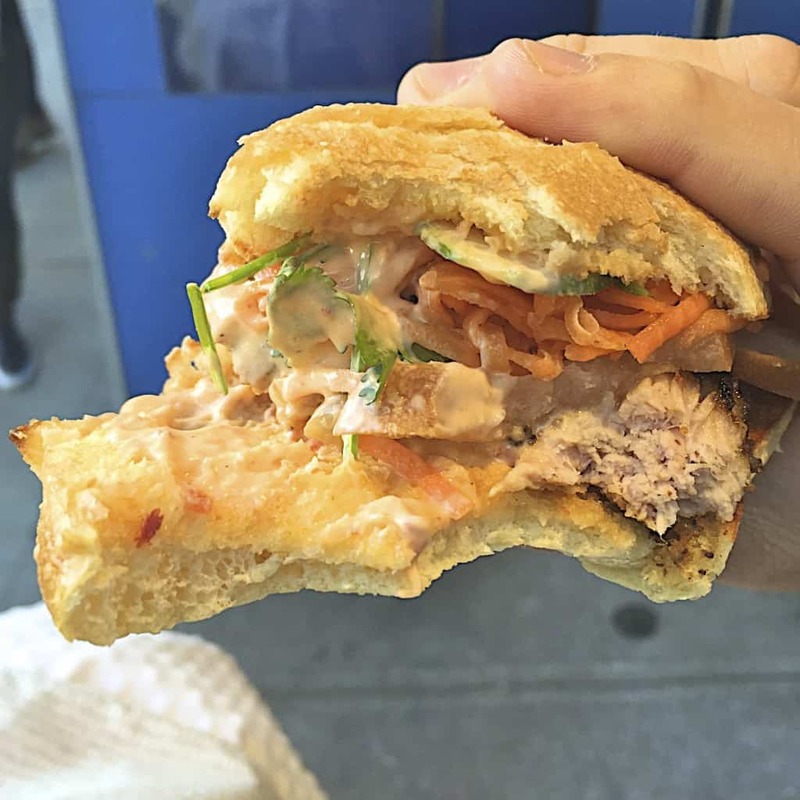 Vietnamese-style sandwiches are our favorite which is what Num Pang is known for so I knew if the sandwiches were as great as people say they are, we would love this place! There are several locations throughout the city. The one we went to just had a window bar with a few stools to sit at so if you’re looking to sit down, maybe try one of the other locations. Since the weather was beautiful, we just got our sandwich and sat out on a bench down the street. 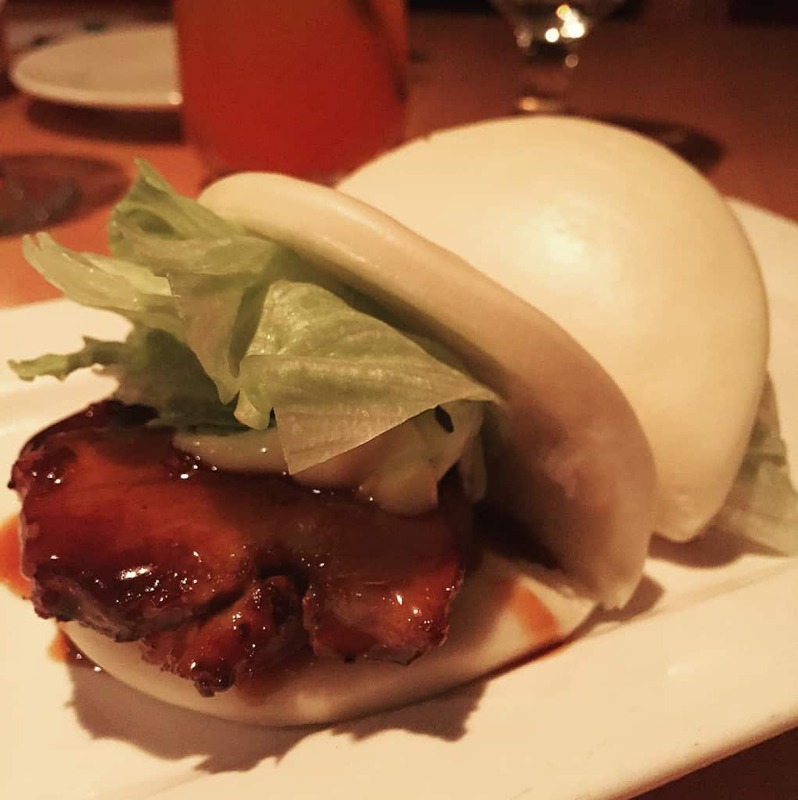 We got the five-spiced glazed pork belly sandwich with pickled Asian pear. All sandwiches come with cucumber, pickled carrots, cilantro and chili mayo served on a baquette that’s slightly crispy on the outside but soft and fluffy on the inside. The pork belly was so tender and flavorful. It’s a dang good sandwich! We can’t wait to go back again soon and revisit several of these tasty places as well as try others we’ve never been to. 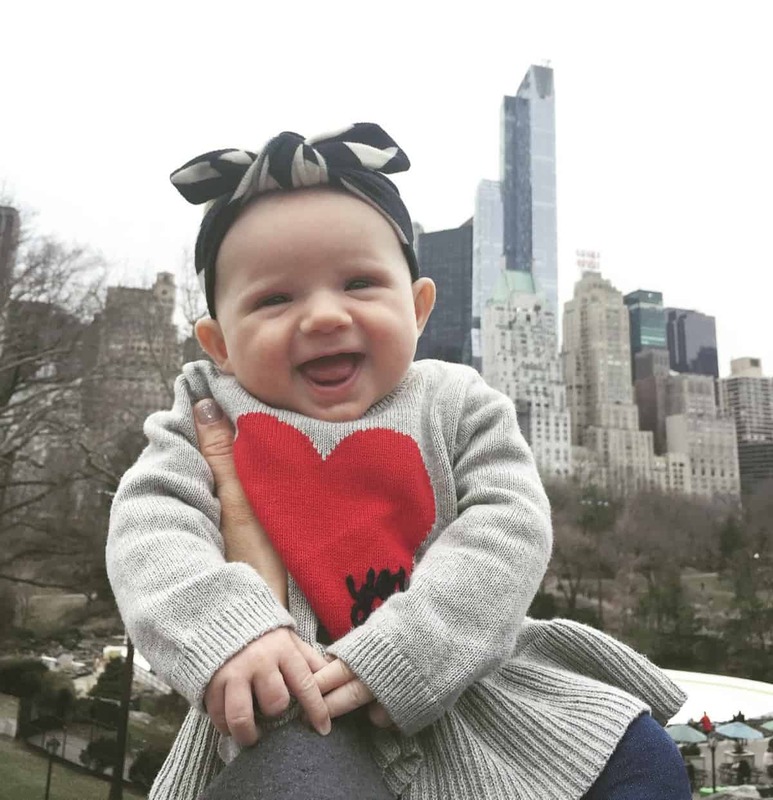 We love you, NYC! 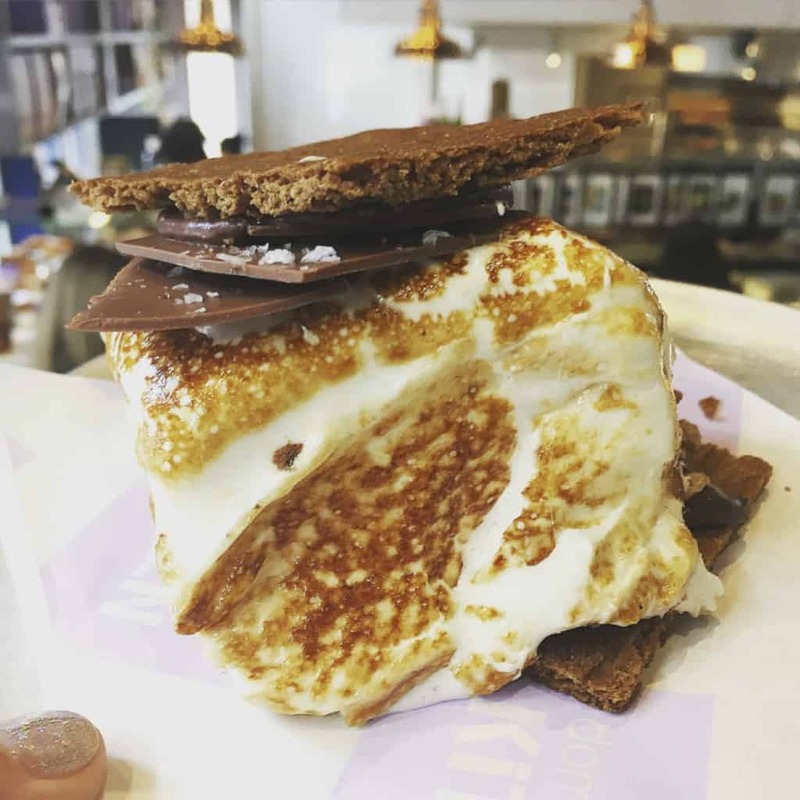 If you have a favorite NYC sweet treat or savory eat that I didn’t mention above and that we must know about, please share in the comments below! Here’s a recap of all the places recommended above along with their Yelp links so you can check out others’ reviews, bookmark your favorites, and plan your tasty trip. Keep in mind, some of these places have several locations, but I linked to the location on Yelp that we went to. 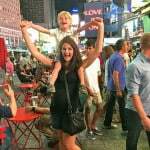 This is my second post about traveling to NYC. 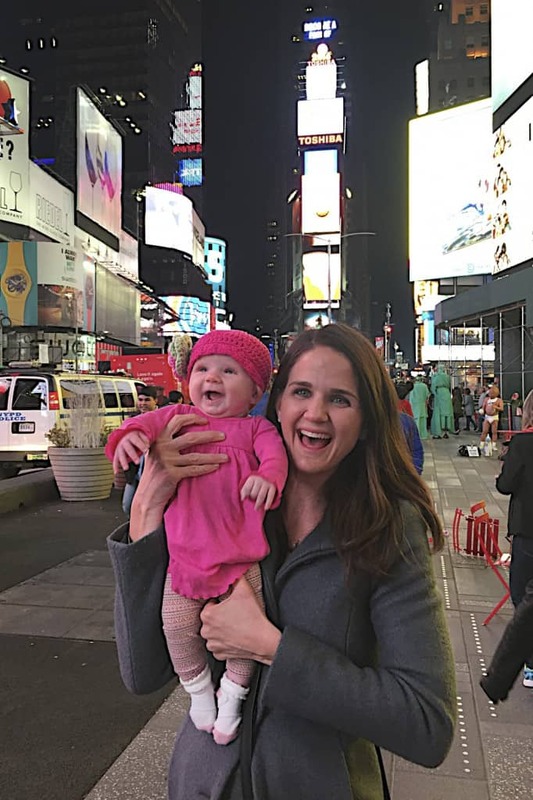 Click here for a recap of my trip to NYC with Baker in Fall 2015 which includes more food recommendations and fun things to do when traveling there with kids! What an amazing idea. 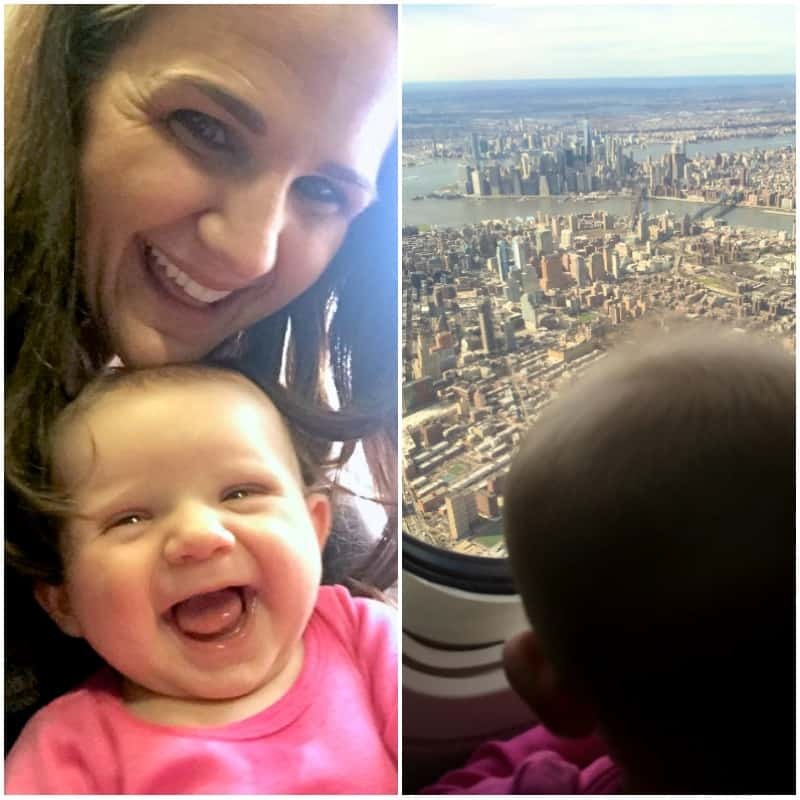 I love trying new places and I love NYC, but I would never have thought of a tour like this! It would be fun to do in other cities as well. 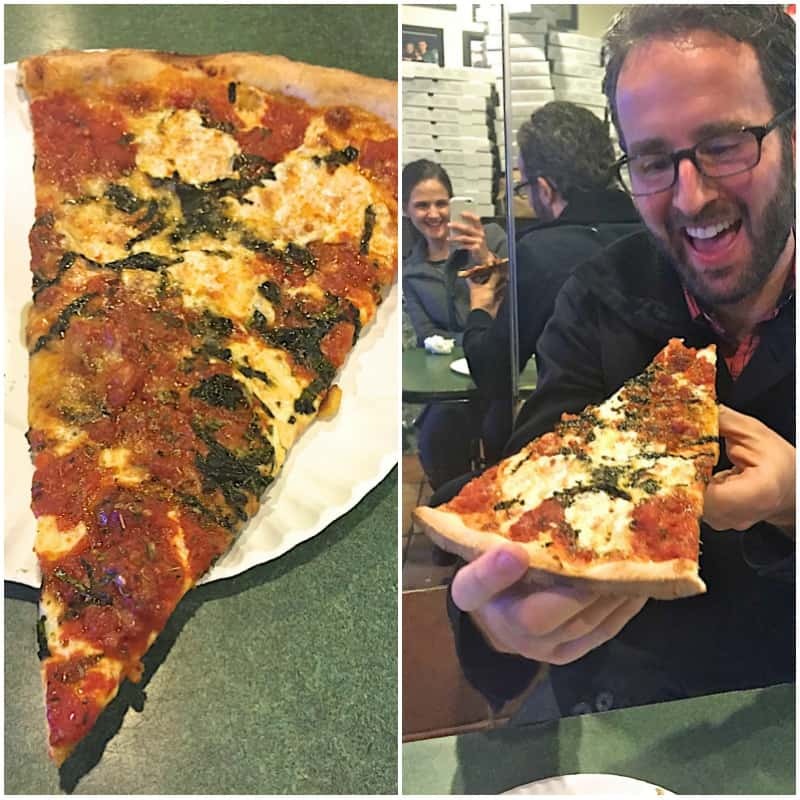 I loved the two bite rule–and the walking plan! I’m so jealous. We love researching and trying new places everywhere we go. One of our favorite bakeries in NYC is Amy’s Bread. I think there are 2 locations, but we always go to the one in Hell’s Kitchen.